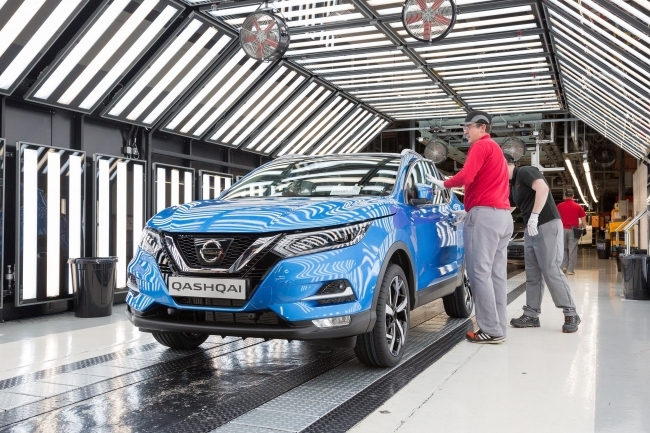 Production of the new Nissan Qashqai has begun, introducing a raft of premium design, technology and performance improvements to Europe’s best-selling crossover. Made at Nissan’s plant in Sunderland, UK, upgrades to the new model focus on four areas – a contemporary new exterior design; higher levels of interior quality; improved driving performance; and the addition of new Nissan Intelligent Mobility technologies. The new Qashqai will also be available with ProPILOT autonomous driving capability, which controls the steering, acceleration and braking in a single lane on highways during heavy traffic congestion and high-speed cruising, from Spring next year. These significant new enhancements will underpin and strengthen the Qashqai’s position as Europe’s number one crossover, and follow a £53m investment in Nissan’s UK facilities, which includes extra production capacity introduced last year to enable Qashqai to be built on both lines in Sunderland. Made round the clock in Sunderland, the Qashqai is currently the best-selling vehicle built in Britain, and is exported to around 100 European and global markets. It represents almost one in five of all British-made cars, and is Nissan’s most successful model ever in Europe. Colin Lawther, Nissan’s Senior Vice President for Manufacturing, Purchasing and Supply Chain Management in Europe, said: “The Nissan Qashqai is the original urban crossover and remains the undisputed leader in the segment. Employment supported by Nissan’s UK design studio (Paddington, London), technical centre (Cranfield Bedfordshire), manufacturing plant (Sunderland, Tyne and Wear) and sales and marketing operations (Maple Cross, Hertfordshire) now totals more than 40,000. Nissan has made more than £4bn capital investment in these facilities, and additionally spends £3bn annually in the British economy through suppliers, services and wages. In addition to the Qashqai, Nissan also manufactures the all-electric LEAF, Juke crossover and Infiniti Q30 and QX30 premium models in Sunderland. With total production last year at 507,436 vehicles, and with more than 30 years of success behind it, Sunderland is the biggest UK car plant of all time. 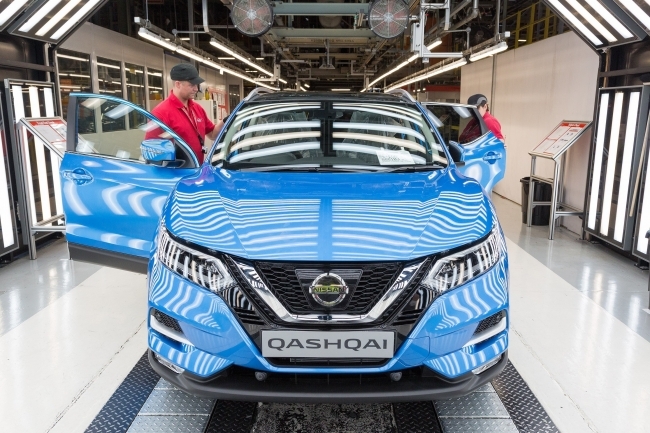 Following the start of production in Sunderland, Qashqai reached the milestones of 1m and 2m units faster than any vehicle in the history of the UK automotive industry, and is well on the way to reaching 3m units in record time. The first-generation Nissan Qashqai went on sale in 2007. This new version represents a major refresh for the second-generation model, launched in 2014. It goes on sale across Europe from next month. In October 2016 Nissan announced that production of an all-new, third-generation Qashqai would also be at Sunderland. • Employment in Nissan’s UK design studio (Paddington, London), technical centre (Cranfield Bedfordshire), manufacturing plant (Sunderland, Tyne and Wear) and sales and marketing operations (Maple Cross, Hertfordshire) now totals more than 8,000.